Cleburne County, created February 20, 1883, from parts of Independence, Van Buren, and White counties and named for Patrick R. Cleburne, an Arkansas Major General of the Confederate Army, was the 75th and last county formed in Arkansas. The county seat is Heber Springs. The landscape of the county is rugged: mountainous in the north to rugged, rolling terrain in the south. The Greers Ferry hydroelectric dam, a 40,000 acre reservoir, made way for a recreational boom that has steadily continued since 1963. Thousands of visitors visit this area each year. Fishing, boating, and hunting in the area are big. A visitors’ center, national fish hatchery for rainbow trout, the dam and powerhouse overlook, and a natural trail along with the icy-cold Little Red River filled with trout makes it a popular place.In Heber Springs, a 10-acre city park features seven mineral springs. 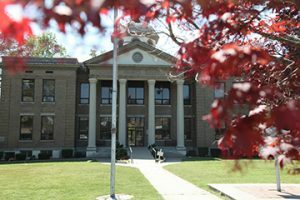 The beautifully restored courthouse, which sits on the town square, is listed on the National Register of Historical Places. Industrial development, cattle and poultry farming, and tourism makes up the economic base of the county. Fishing tournaments, conventions, reunions, and craft shows provide family entertainment for the local citizens as well as many visitors. Saturday nights come alive in Heber Springs with country music.